May, 2018 | Reliance Plumbing Sewer & Drainage, Inc. Does Your Water Heater Need Maintenance? 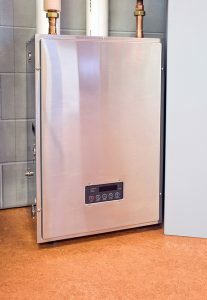 One of the most common questions we get about Glenview, IL water heater installation or replacement is whether or not these systems need regular maintenance, like other components of one’s plumbing system and home. Take the traditional storage tank water heater, for instance. Maintenance is required to check for scaling, which is essentially a mineral buildup that can cause problems with pressure, temperature, and possibly even corrosion. Tank water heaters may often need flushing, which we can do during maintenance. These systems also have a component called the anode rod, to absorb rust—this needs to be replaced every few years. Posted in Water Heaters | Comments Off on Does Your Water Heater Need Maintenance? Pretty much any home in our area has a main sewer line running beneath the property. This sewer line connects your various drain lines to the city’s main civic sewer system, and since it’s buried beneath your yard, it’s mostly protected from damage. However, when problems do occur, they can be quite a big hassle. At least, that used to be the case! Now, with Glenview, IL trenchless technology, it doesn’t have to be—your sewer line can be repaired in a fraction of the time with much less cost. Keep reading to learn more. In and of themselves, there’s not much separating a problem with your sewer line from a problem with any other household pipe. Things like leaks, clogs and other problems can plague any portion of your plumbing, and solutions, generally speaking, don’t differ much. The problem with a sewer line, however, is that it’s more difficult to reach the pipe in order to perform repairs or replaced any damaged portion(s). Since the sewer line is buried underground, repairs used to mean a full excavation, requiring a lot of equipment, significant man hours, and subsequent service costs for you. Additionally, it meant tearing up the yard from end to end, disrupting your landscaping and livelihood. Trenchless technology has a number of benefits when it comes to correcting problems with your sewer line. It begins with video camera inspection, which we use to get an accurate idea of what the problem is and exactly where it’s located. Getting the right tools and down to the sewer line is easier, too. Rather than your whole yard being torn up, a pair of small holes are dug on either side of the problem locations, and the technician can then run down the appropriate corrective measure, whether you need relining or complete sewer line replacement. This saves your technician time, but more importantly, it saves you inconvenience, time, and money. For expert plumbing service, installations, or maintenance contact Reliance Plumbing Sewer & Drainage, Inc. Our knowledgeable plumbers serve the North Shore and Northwest Chicago suburbs. Rely on Reliance! 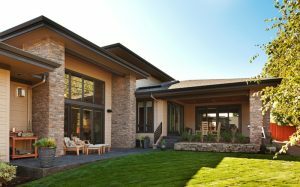 There are a couple reasons your plumbing system’s sewer line is buried under your yard. For instance, it’s more attractive this way! However, it’s also for safety and functionality on your property. But this means that not only is your sewer line out of sight (and therefore hard to spot problems with right away) but it’s also prone to problems like tree roots searching for a water source. 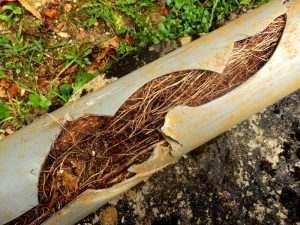 Sewer line damage is a major plumbing problem, and trees are an unfortunate culprit. You may be surprised at how common it is for tree roots to cause sewer line damage and clogs. Unfortunately, they crave water, so even the smallest leak within your sewer line can attract these roots. They’re not the only threat to your sewer line, but they are worth being aware of. Whether you suspect you have sewer line damage or what to learn more about your risks, you can contact a professional Des Plaines, IL plumber from our team for further assistance. In the meantime, read on to learn more about the dangers of tree roots.